Indonesia has successfully championed gender-responsive budgeting, which has helped the government distribute public funds equally to address the needs of women and men. During the visit, government officials, development practitioners and community groups in Indonesia shared their first-hand experience in implementing gender-responsive budgeting and its impact. The visit was organized by Afghanistan Office of the President with support of UN Women and UNDP. For Ms. Musleh and other participants, the visit started a community of practice where every Afghan office on the delegation can now connect with his/her counterpart in Indonesia to share lessons-learned and best practices. "It is not enough to merely say that we are committed to gender equality. We must take practical steps to make tangible difference in the lives of women and men. Throughout my journey, I’ve come to know and befriend women’s rights activists from all walks of life. The problem [of inequality] is everywhere, at all levels—starting with the cultural and traditional practices that hinder women’s empowerment and which inclines the families to invest more in boys as future caretakers of the family. This ultimately leads to women and girls losing their confidence and self-esteem and becoming used to the patriarchal perceptions. These perceptions extend to the environment in which women and girls work and study. 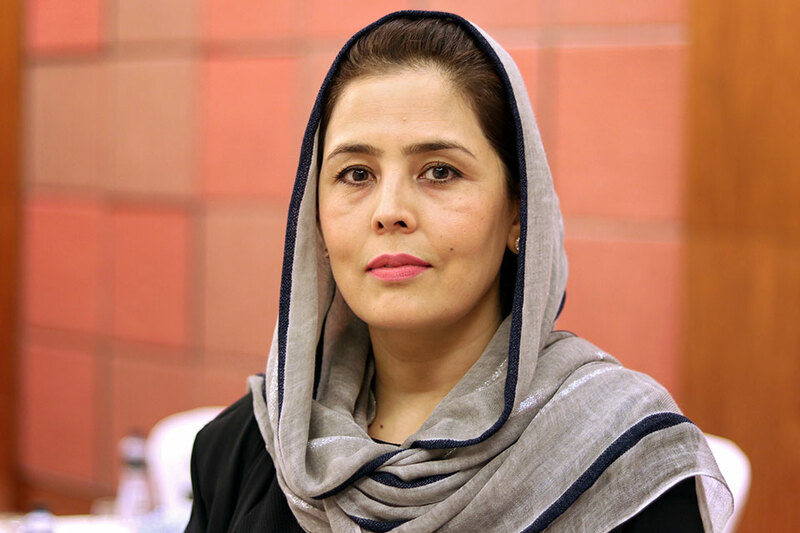 Afghanistan has been using gender-responsive budgeting (GRB) for 10 years, but the results are not tangible yet. Women and men must benefit equally from government funding, instead of one benefitting at the cost of the other. There are still many misconceptions about GRB, such as it’s a separate intervention, rather than being part of the overall budgeting exercise. There is also a lack of technical knowledge and capacity to institutionalize GRB systematically, and the central and the provincial governments do not have the same understanding sometimes about its implementation. Public money is used for public goods and services; our national priorities and budget policy need to reflect our ambition for inclusive development. Our visit to Indonesia really helped us learn how to ensure a continuous and systematic effort to steer gender-responsive budgeting initiatives in our ministries and include gender perspectives in government policies and development programmes. The visit took place at the right juncture of time, as we are planning for the next year’s national budget. As all the participants were senior officials who are directly responsible for budgets and funding development projects, for the visit enabled us not only to strengthen our coordination amongst various ministries but also establish networks with peers and officials in Indonesia. There are so many lessons that can be replicated in our country! One of them being that we should not focus on the central level alone, but also expand the gender-responsive budgeting initiatives to the local levels, so that local governments can address the needs of everyone in the rural areas. We must also create platforms and mechanisms through which we can engage people at the grassroots level, civil society and other community groups, for better results.